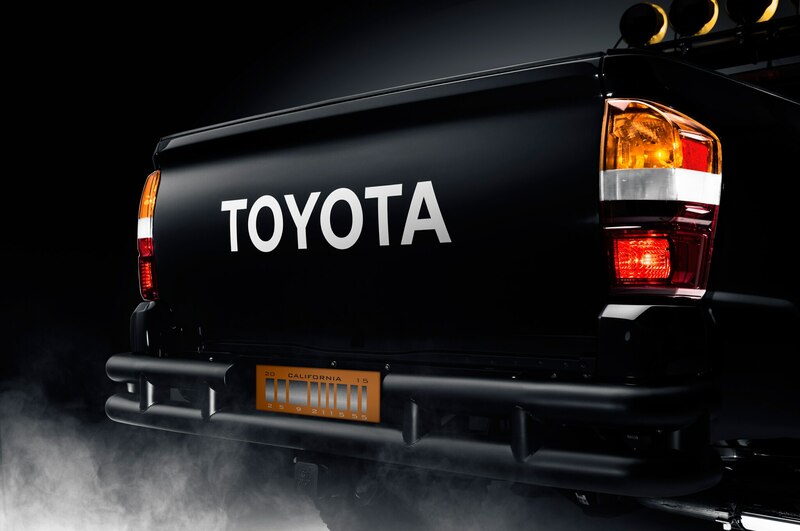 Remember in “Back to the Future II” when Marty McFly traveled to the future? 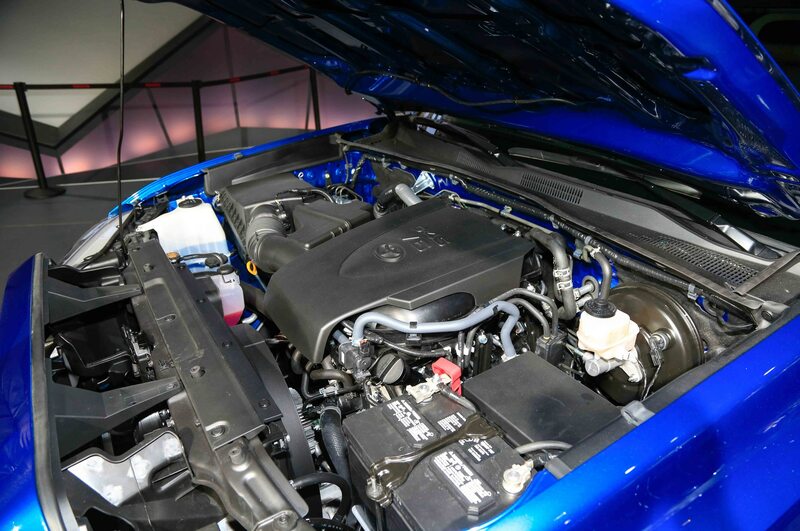 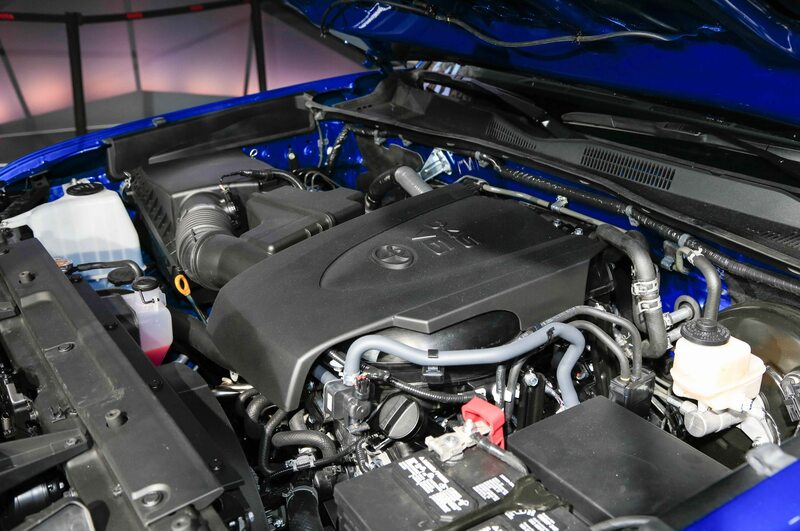 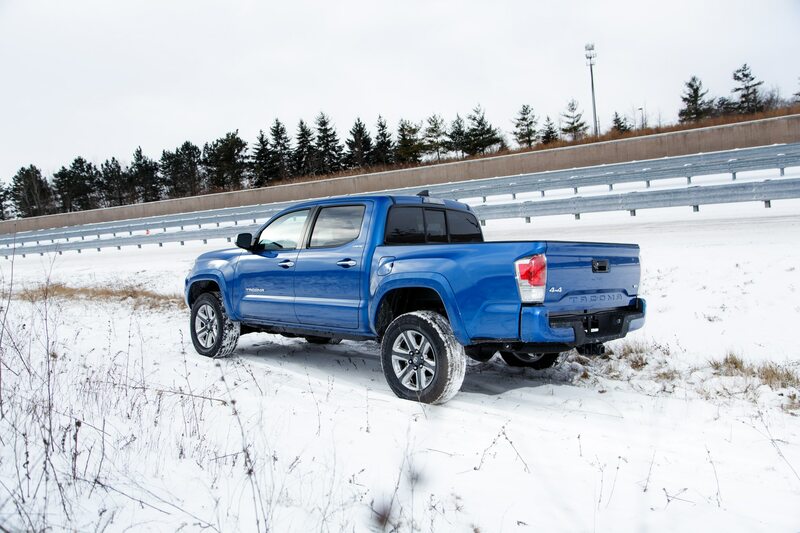 Today, October 21, 2015, is the day he arrived, and Toyota is celebrating with two new versions of the 2016 Toyota Tacoma pickup and the 2016 Toyota Mirai fuel-cell vehicle. 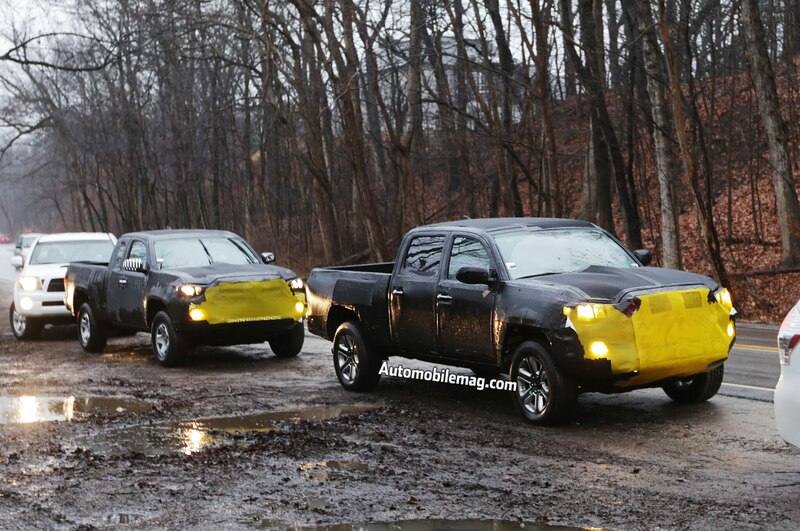 Both are inspired by iconic cars from the film, with the Mirai taking after the DeLorean time machine, and the Tacoma replicating Marty McFly’s 1985 Toyota pickup. 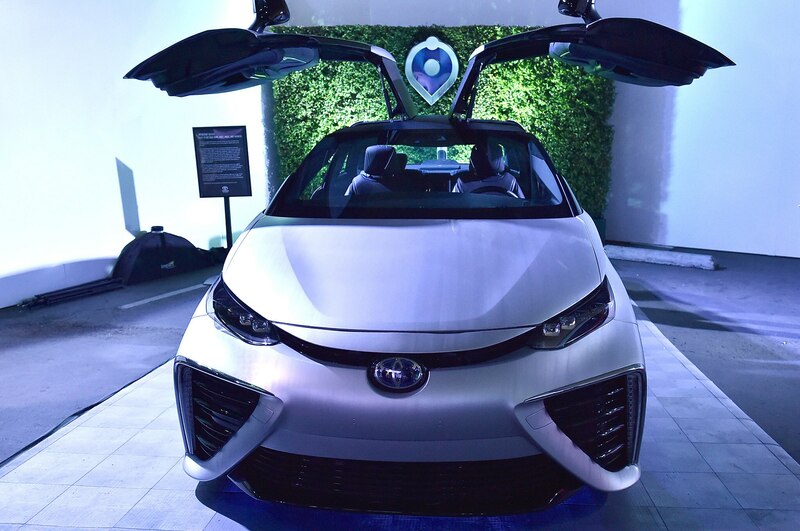 The futuristic-looking, hydrogen-powered Mirai doesn’t look quite like Doc Brown’s low-slung, iconic time machine, but Toyota did go to great lengths to transform the car into something wildly different than the production car. 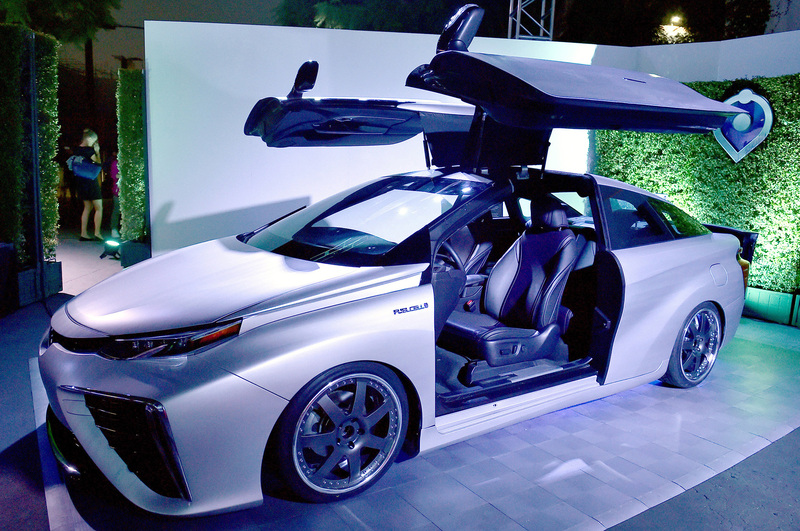 Fitting two gullwing doors surely wasn’t an easy task, as the Mirai comes standard as a traditional four-door sedan. 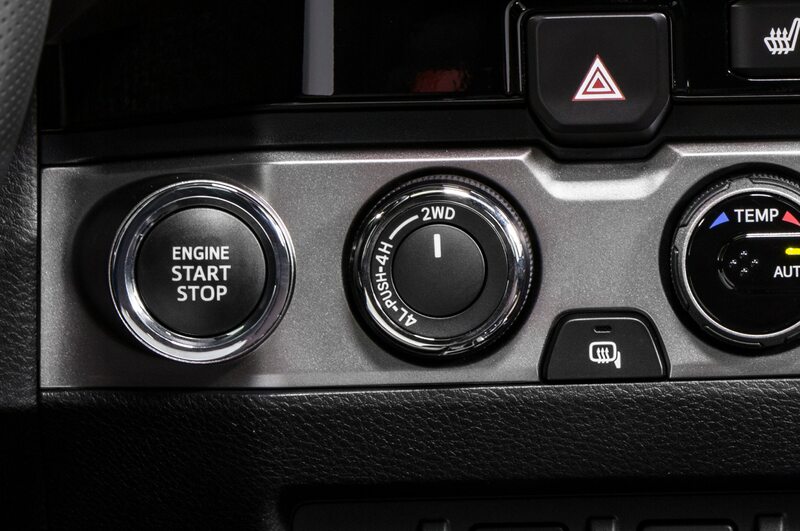 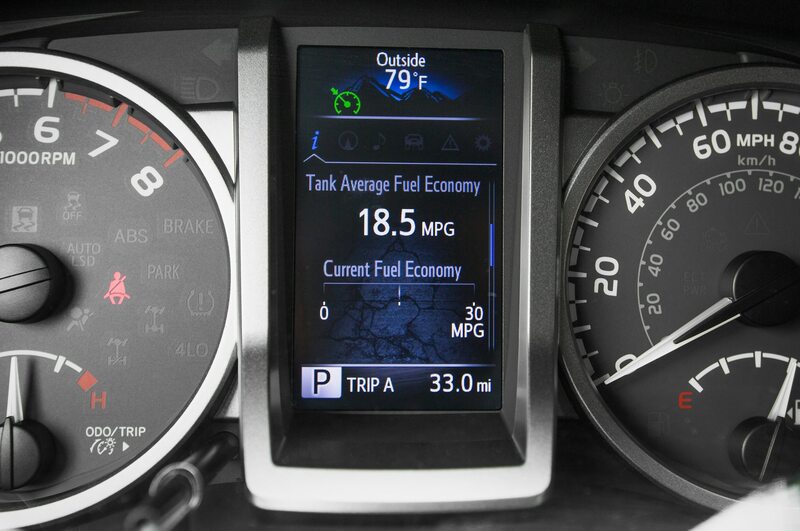 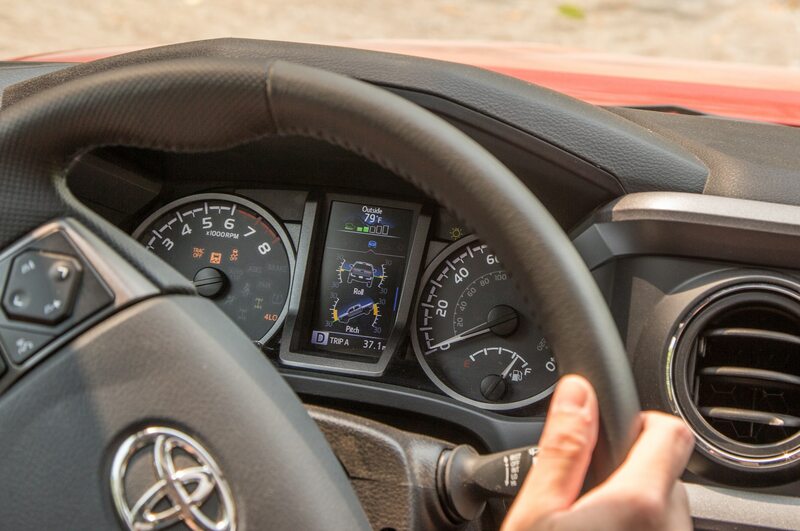 The silver Mirai is also lowered, features custom wheels for a meaner look, and has a special head-up display that shows a time-travel destination. 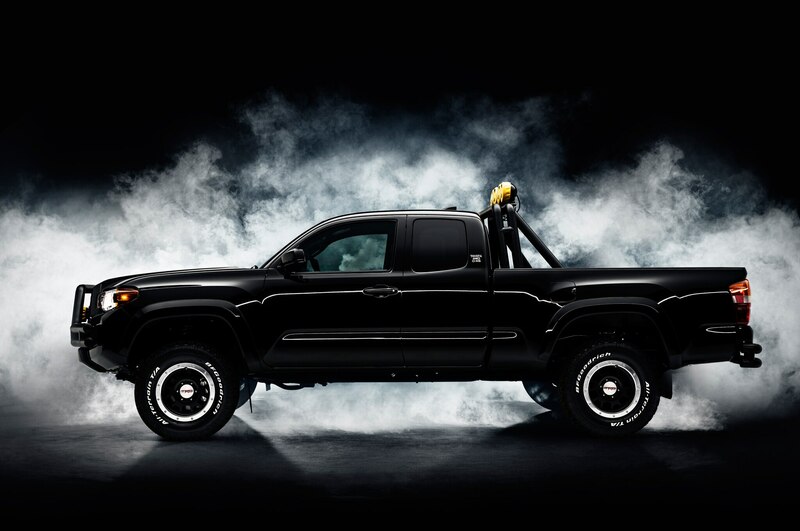 The Tacoma, meanwhile, is an even closer approximation of the 1985 Toyota pickup that McFly drives in the movie. 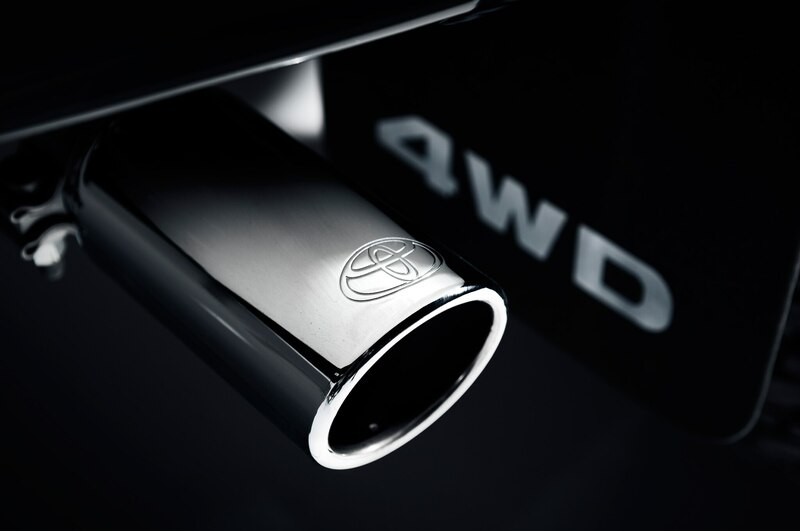 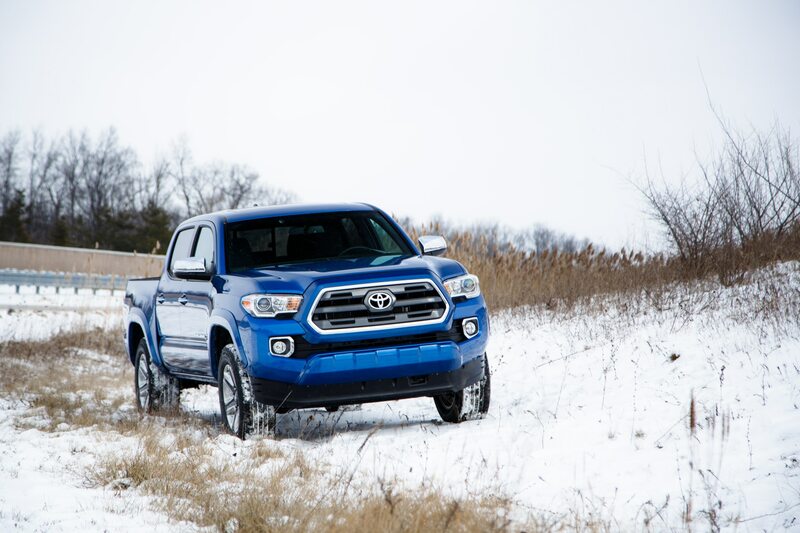 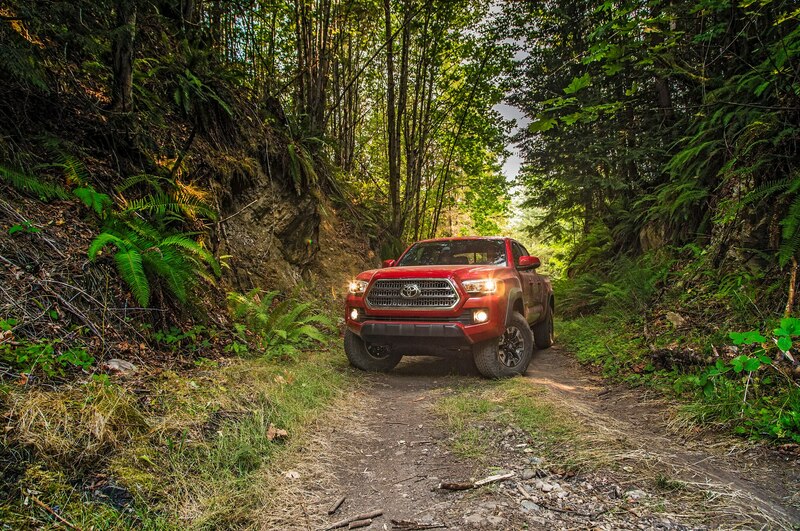 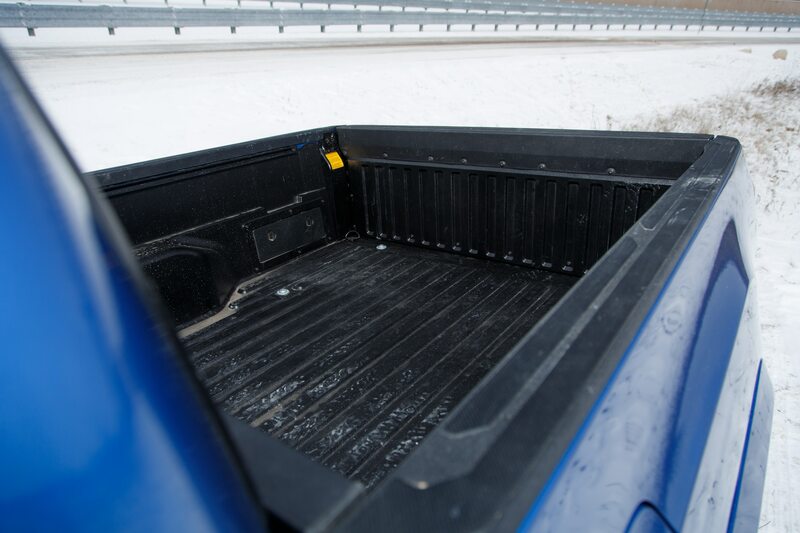 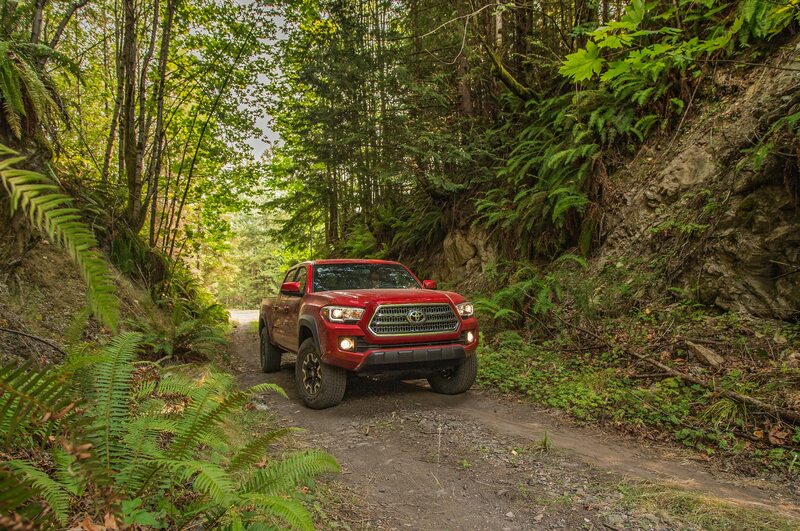 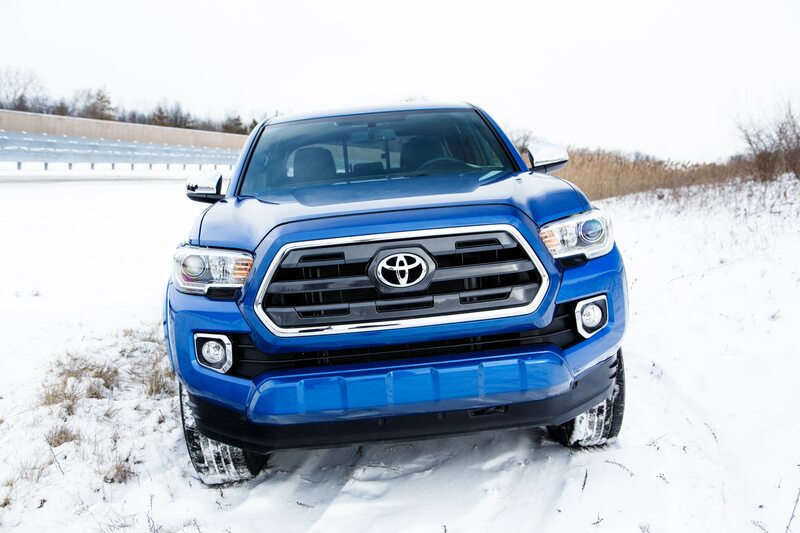 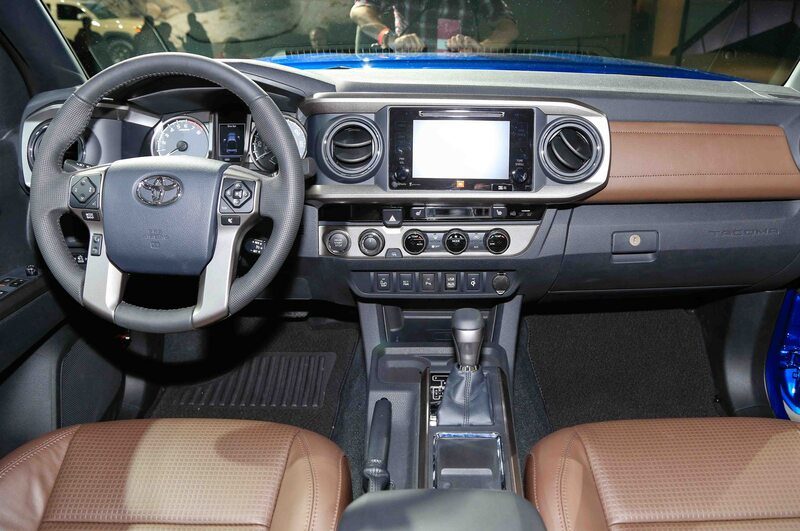 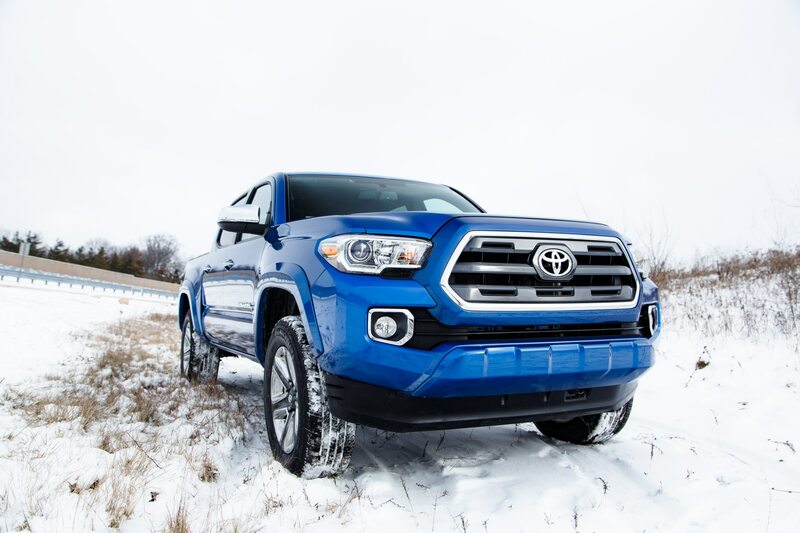 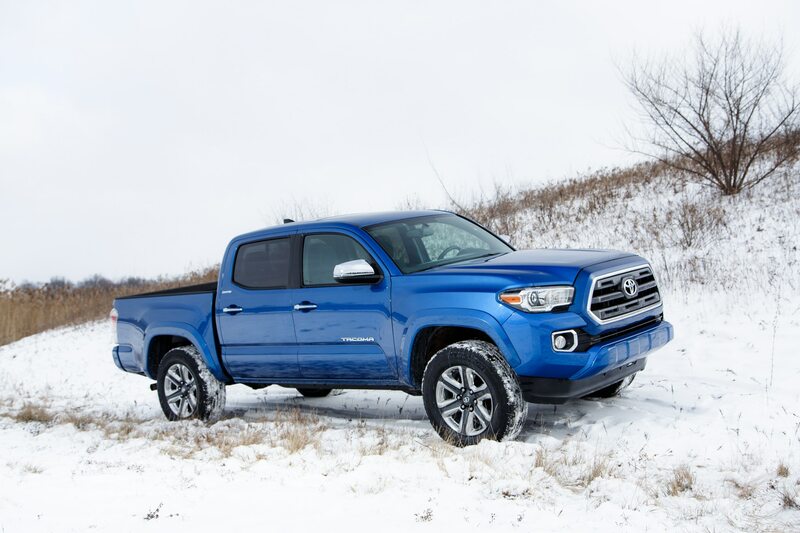 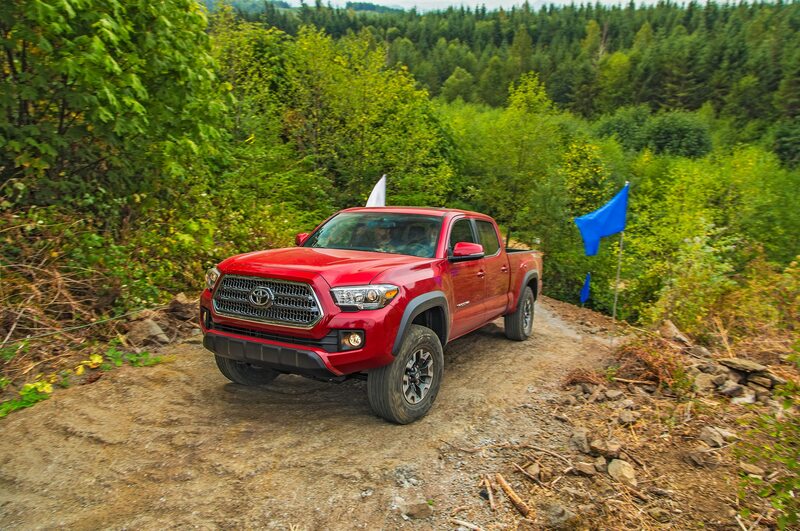 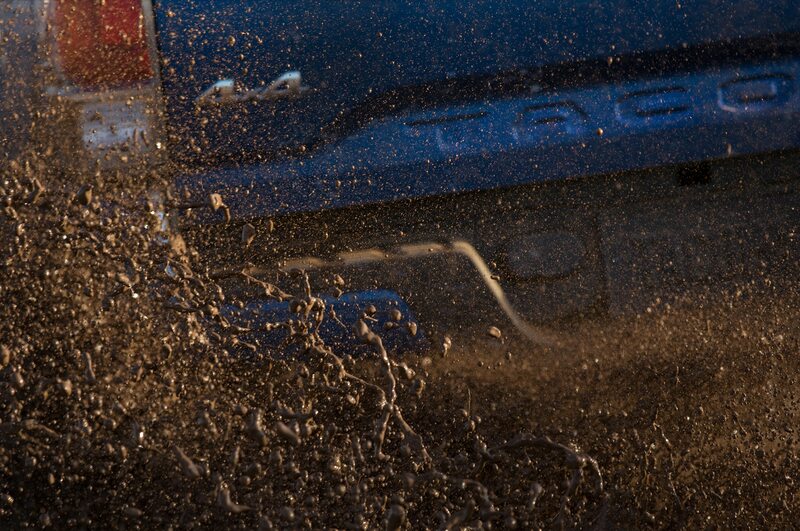 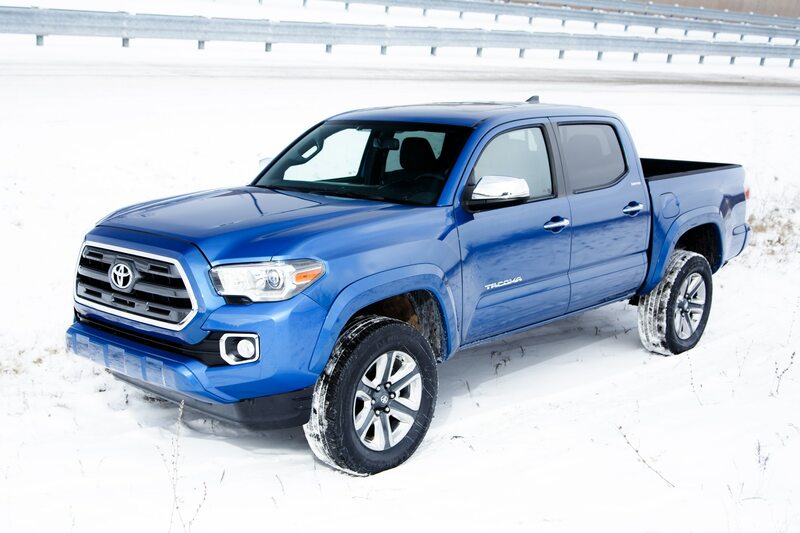 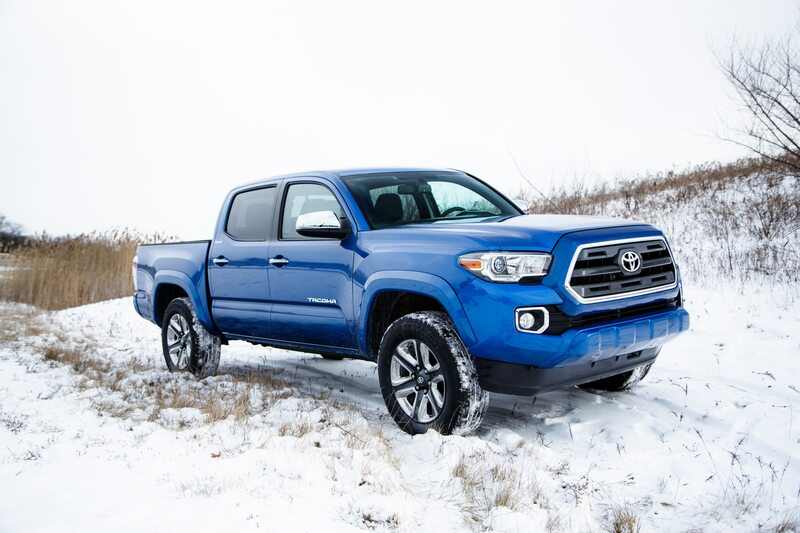 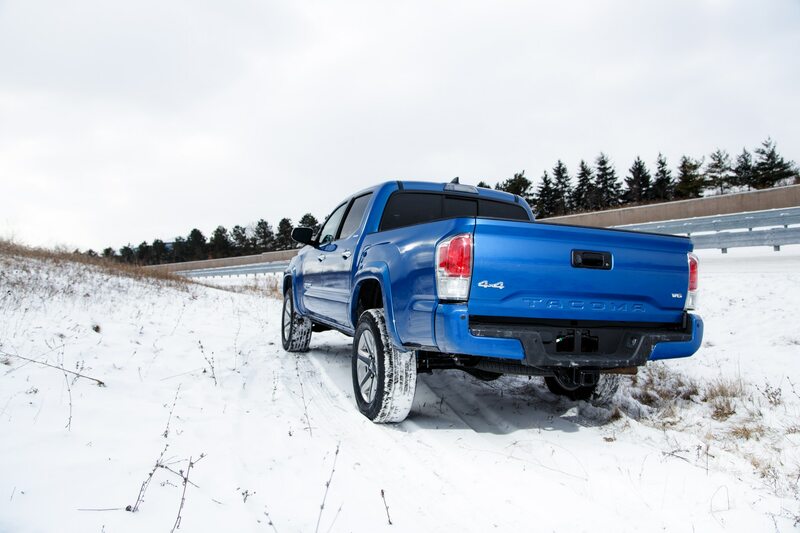 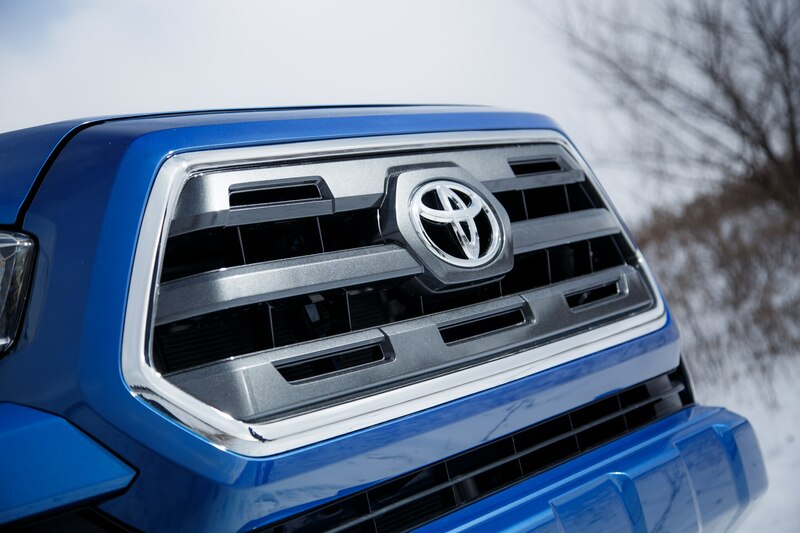 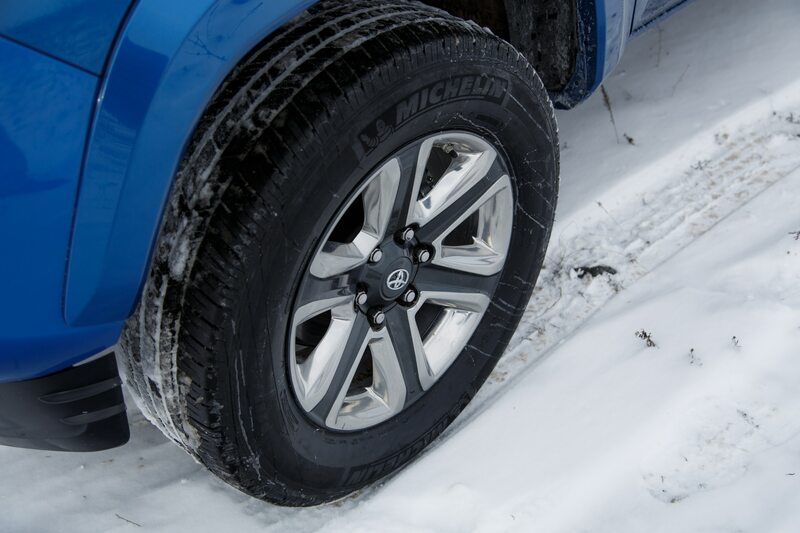 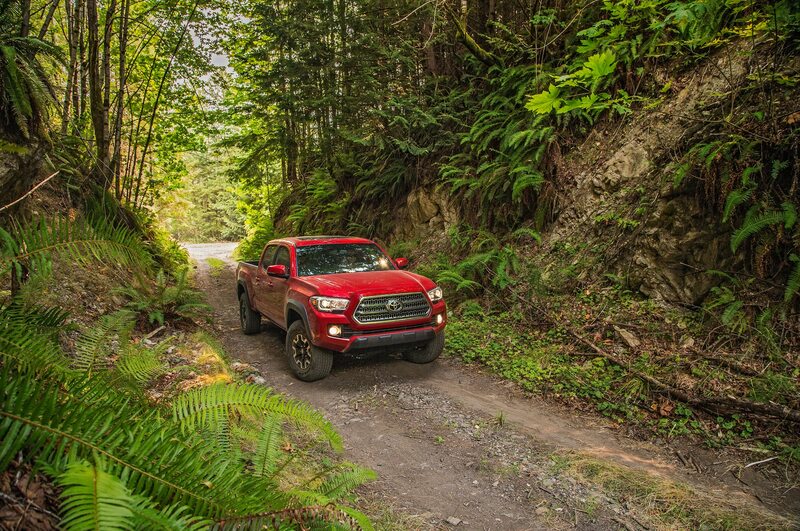 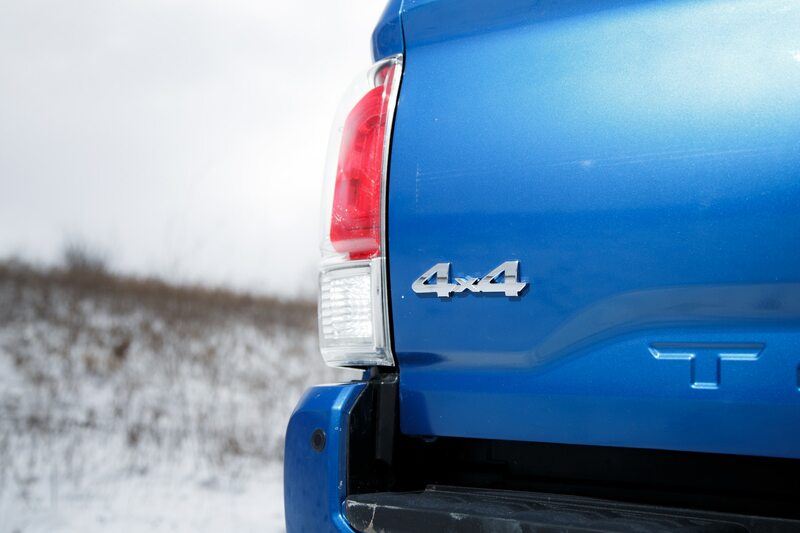 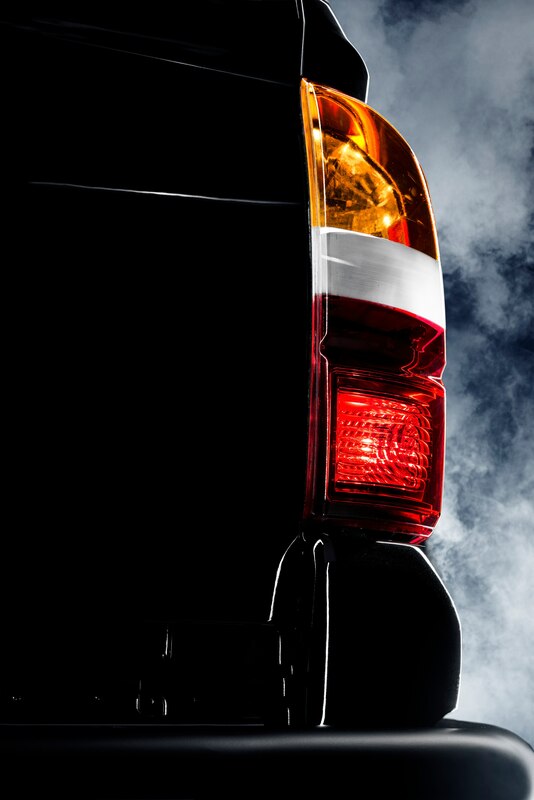 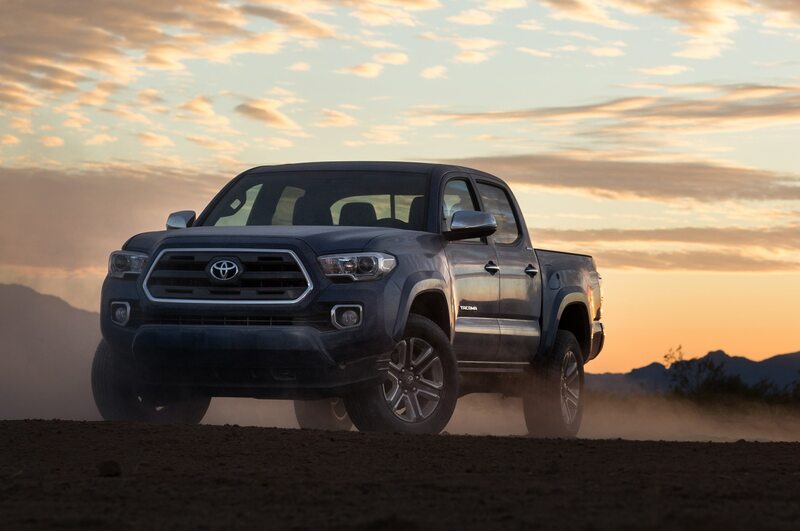 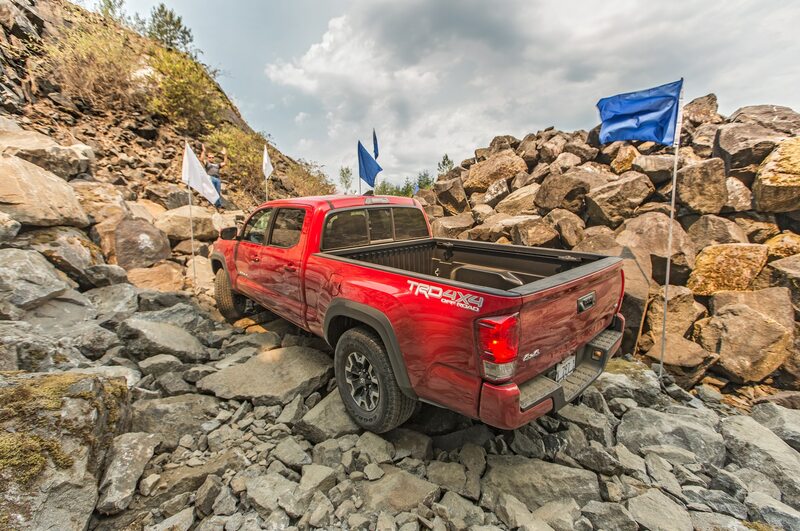 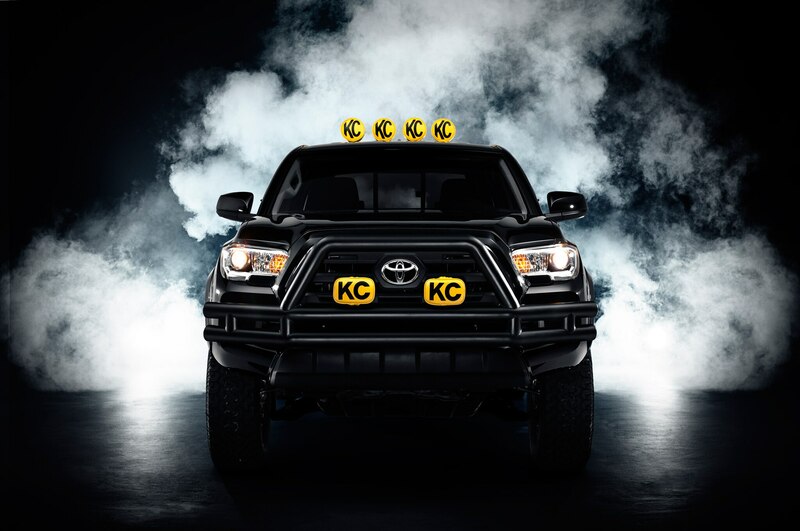 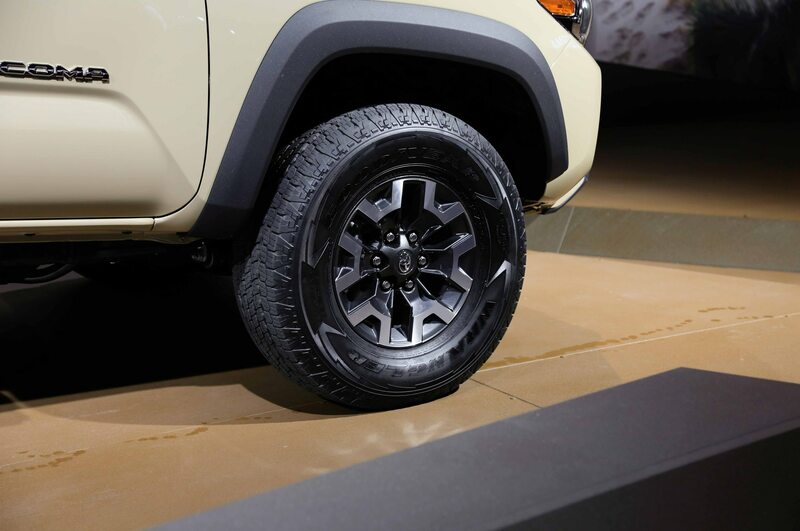 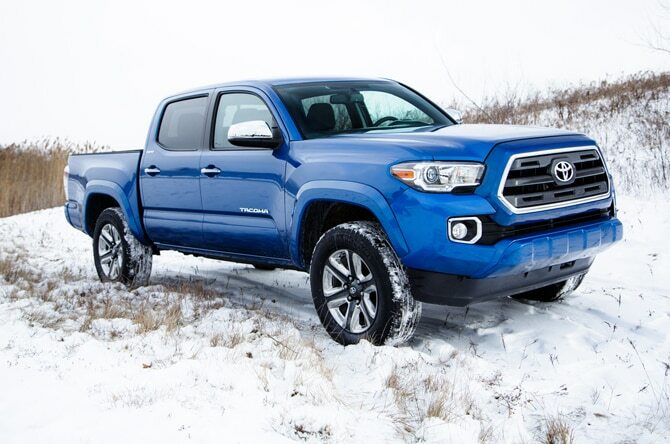 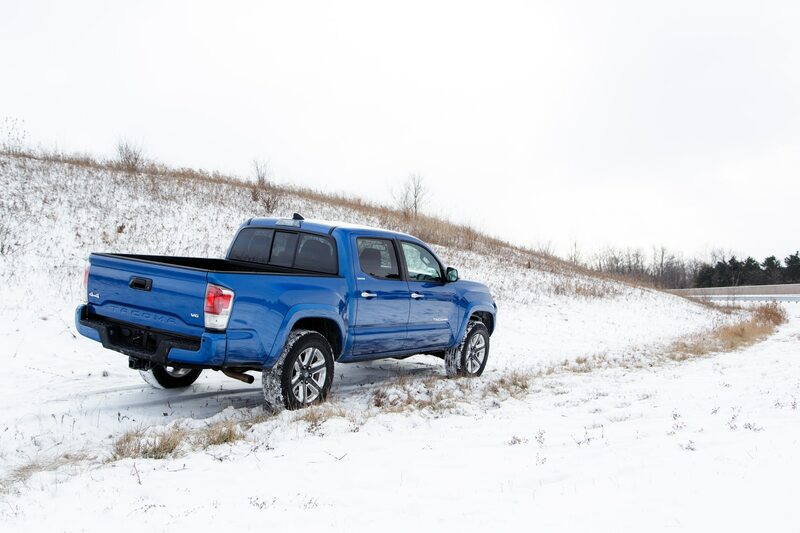 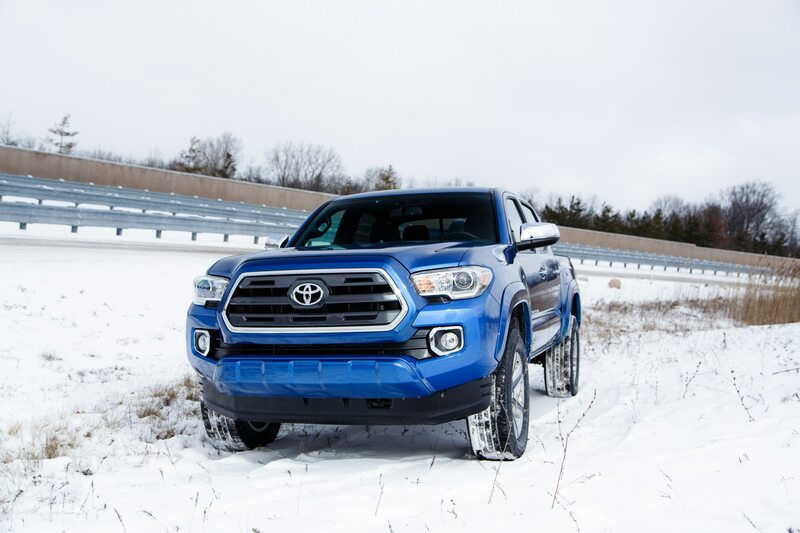 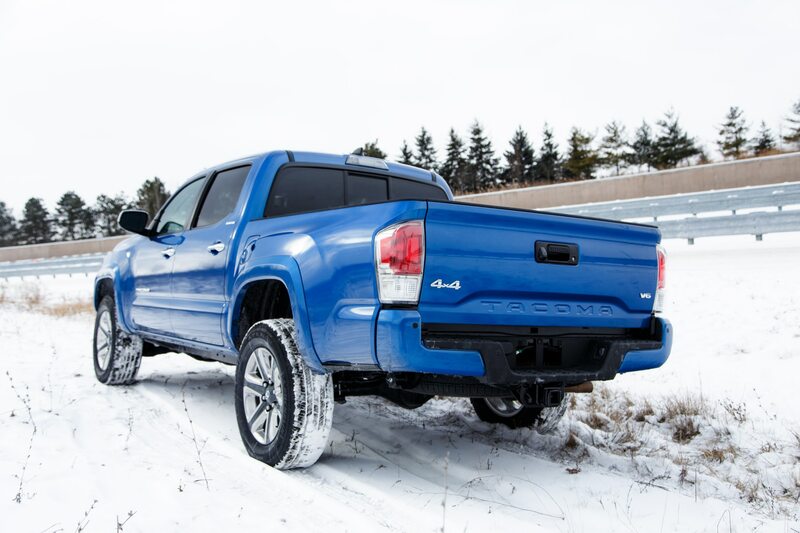 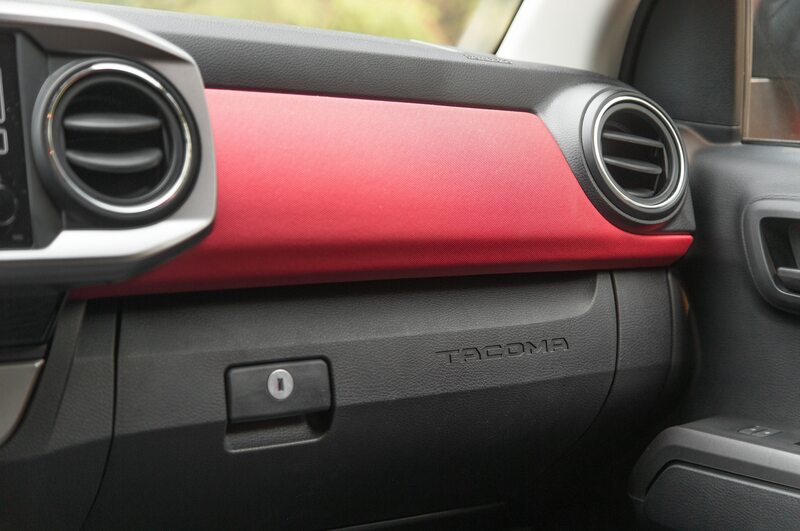 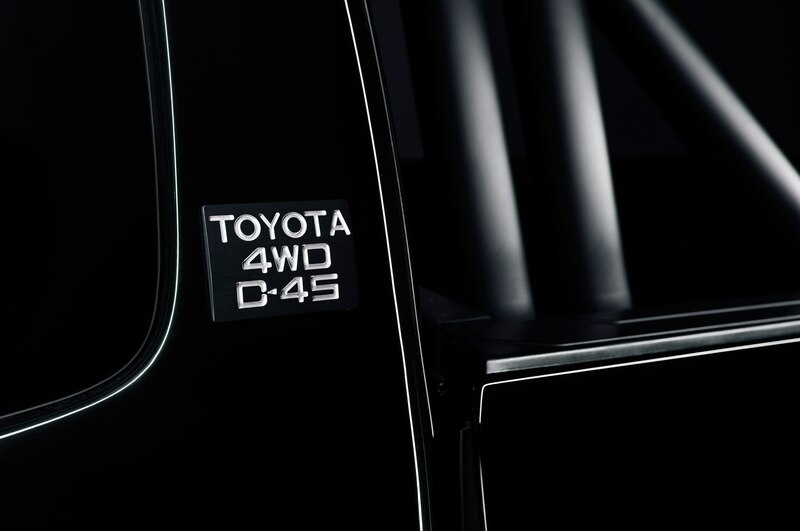 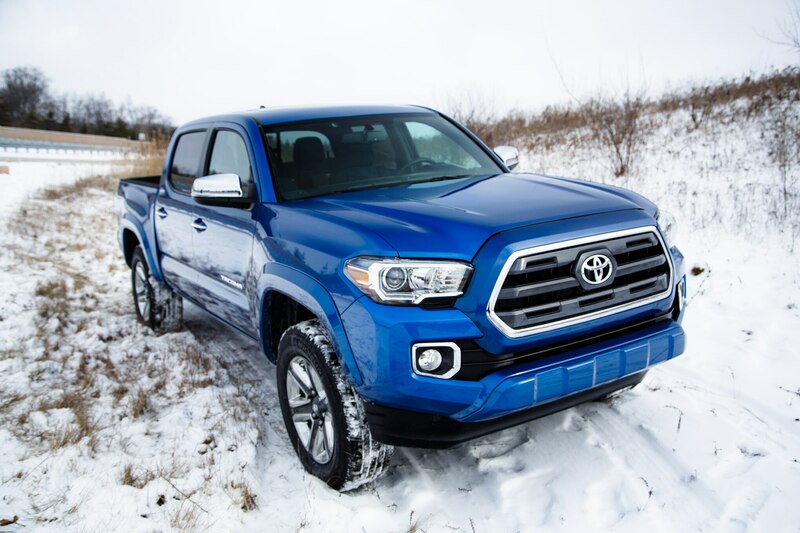 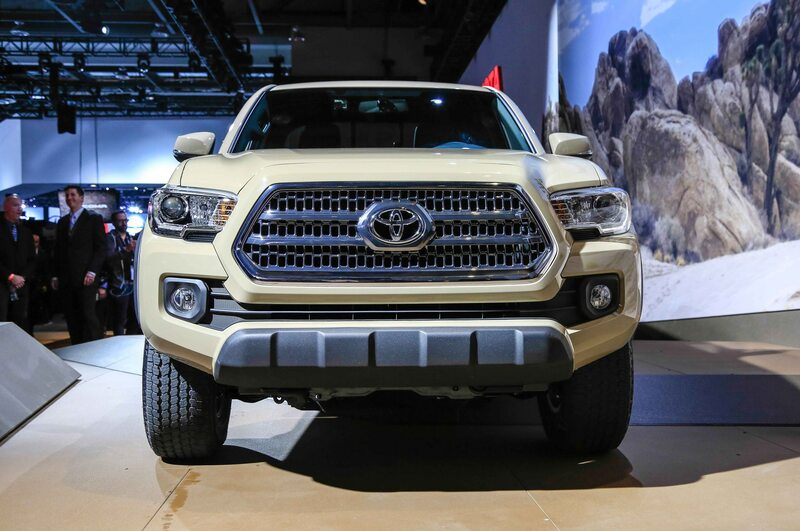 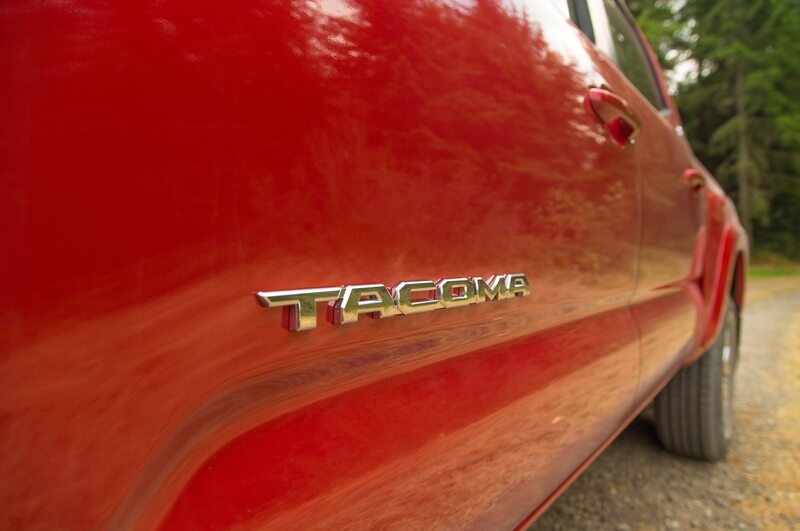 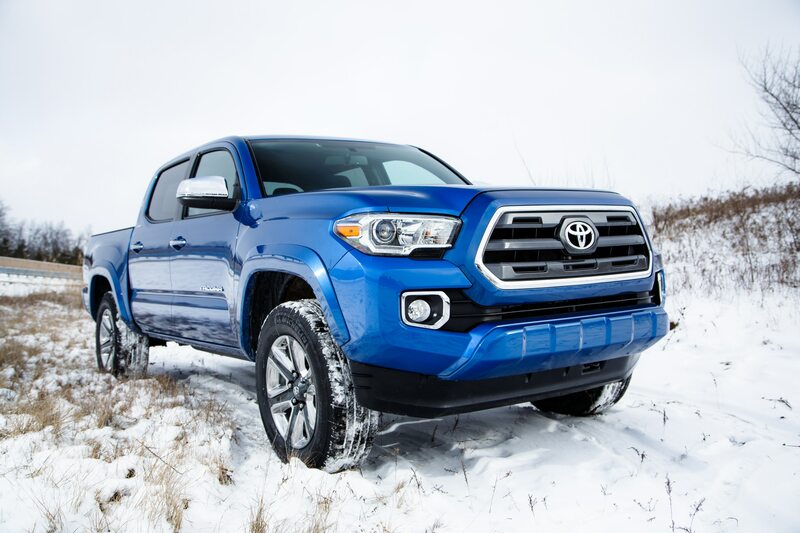 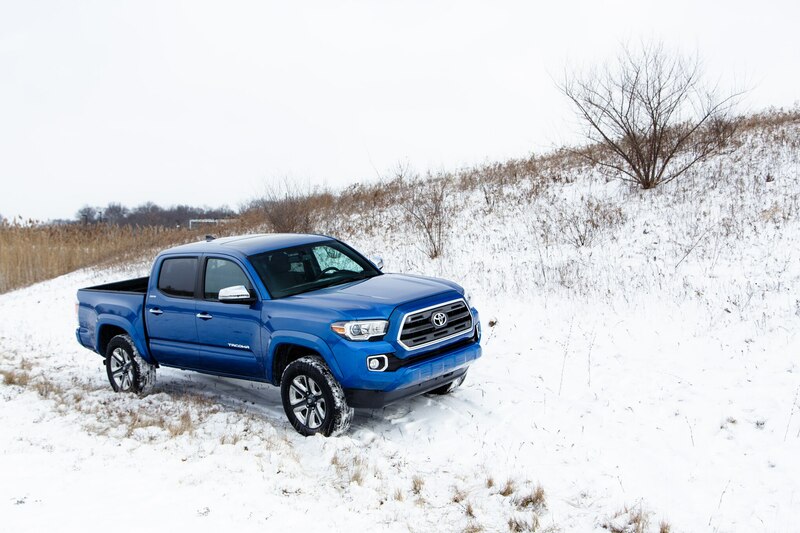 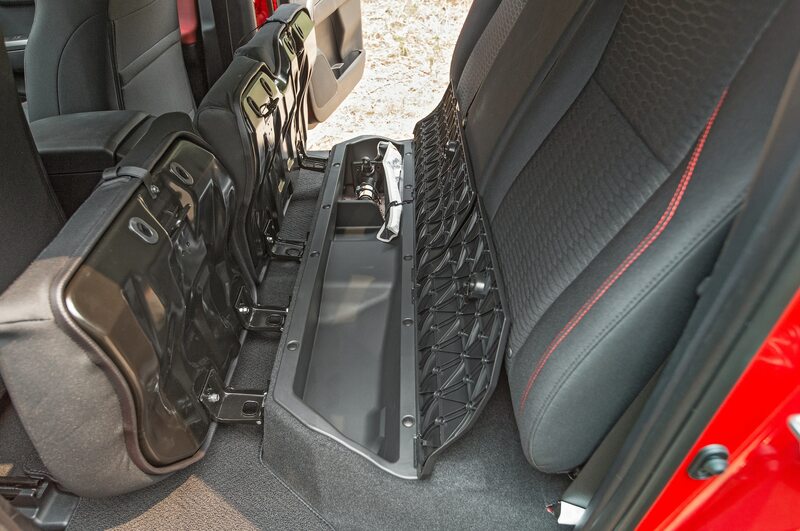 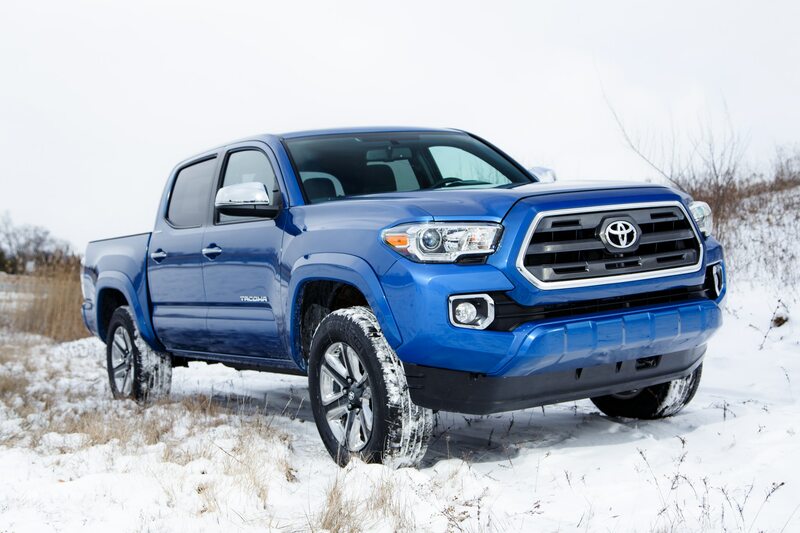 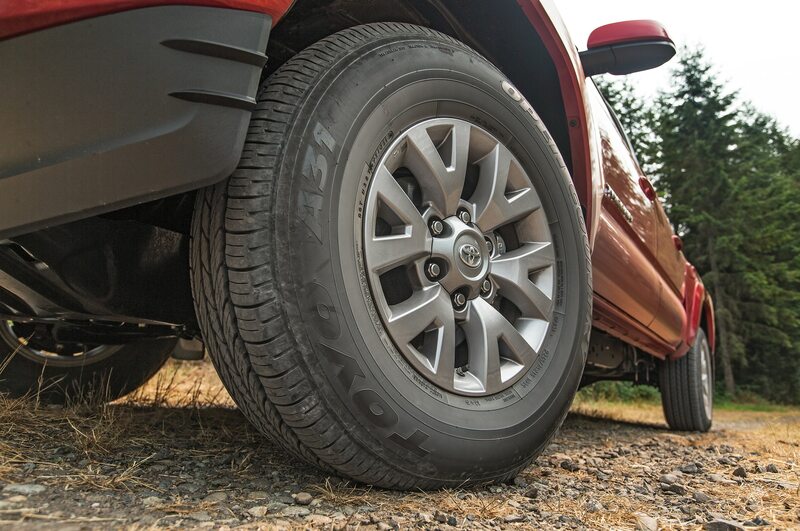 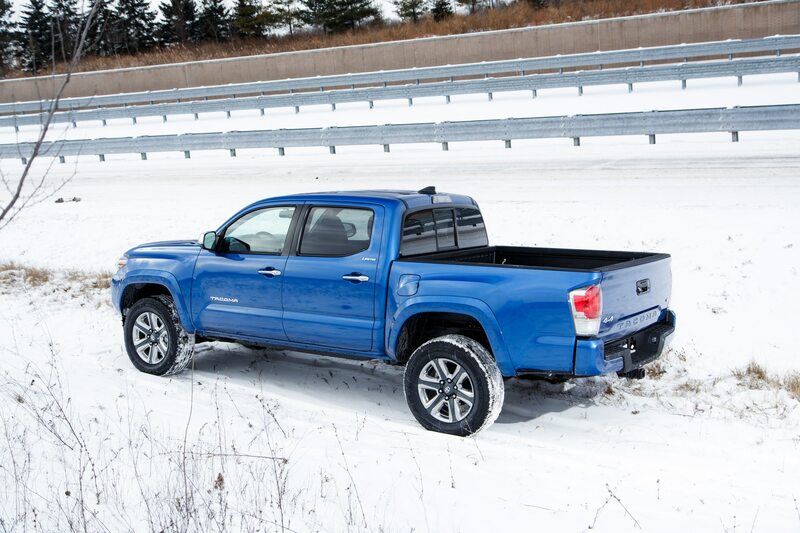 Toyota started with a 2016 Tacoma Access Cab, and brought back all sorts of cues from the past, including a retro “TOYOTA” logo across the tailgate, vintage-look headlights and taillights, and mud flaps from a 1985 Toyota truck. 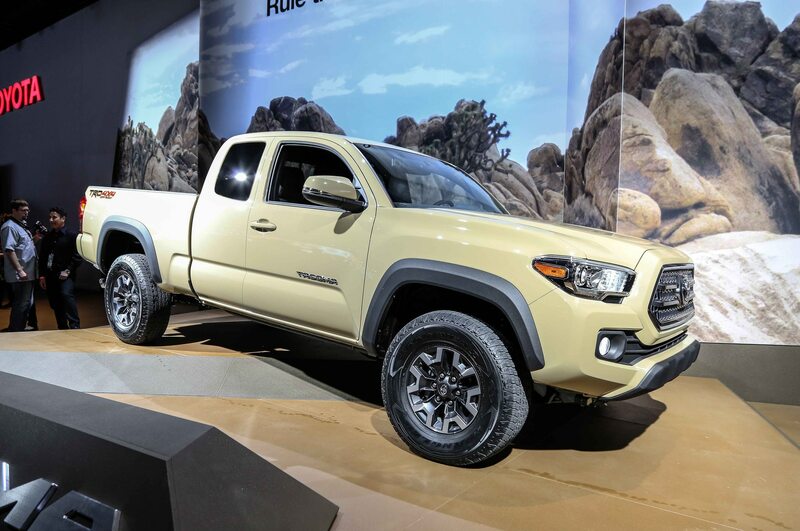 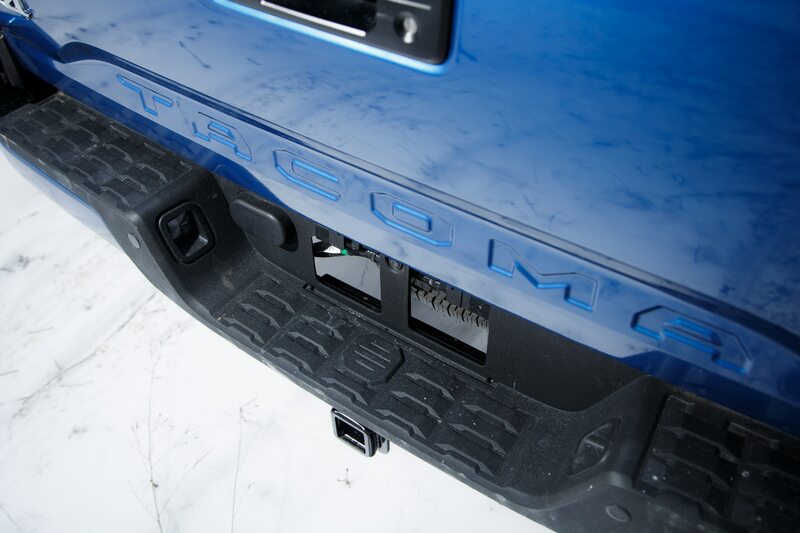 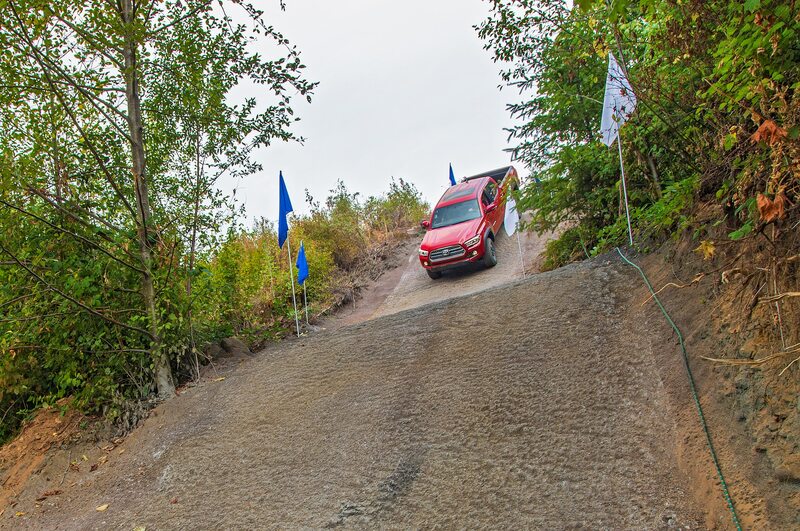 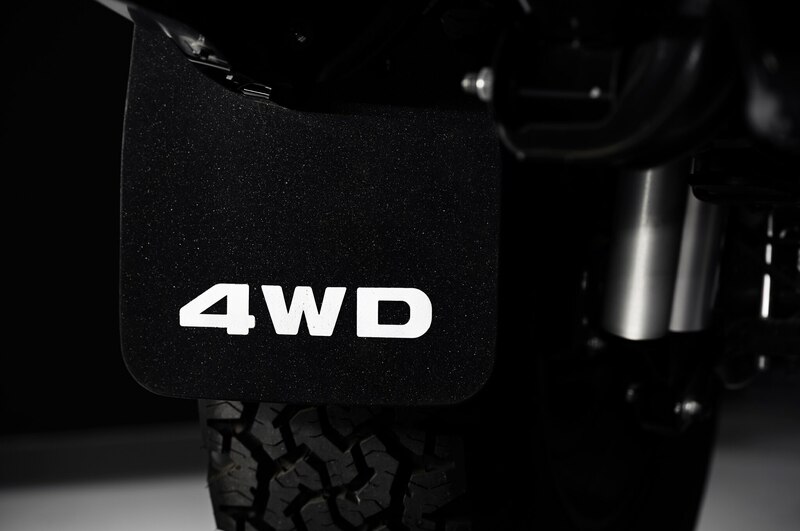 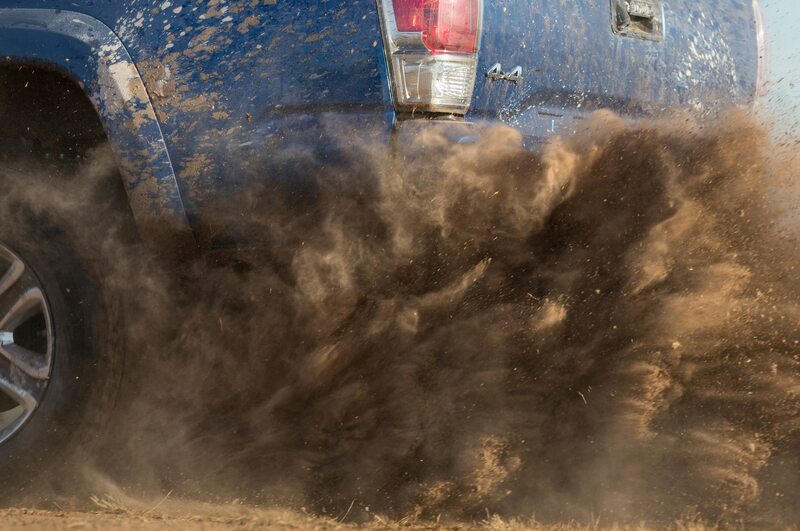 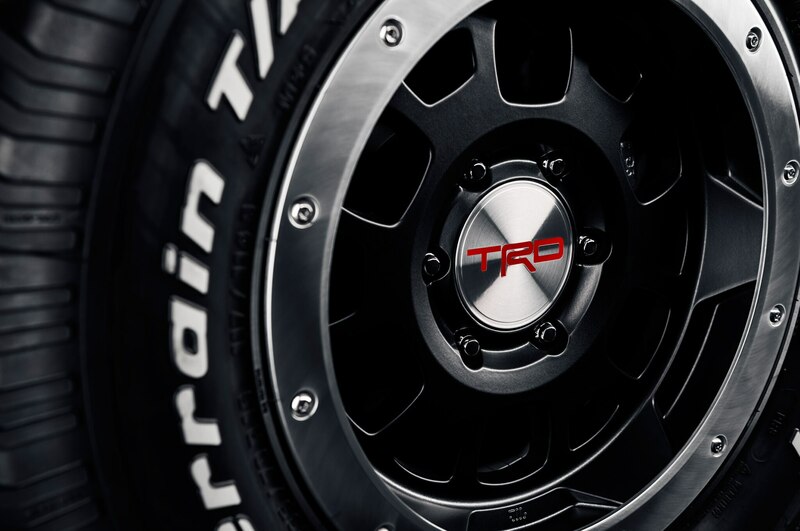 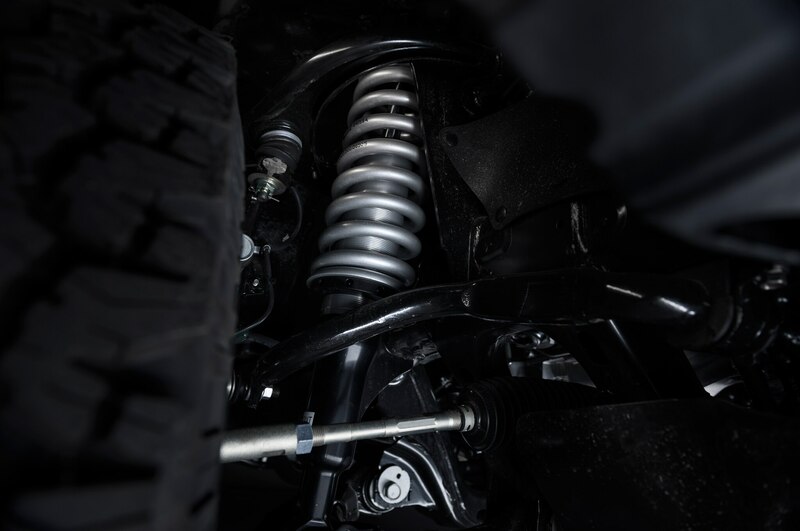 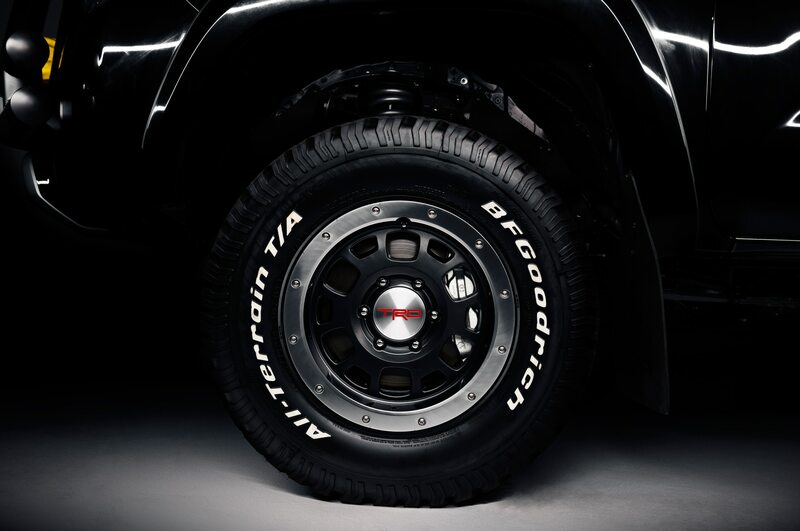 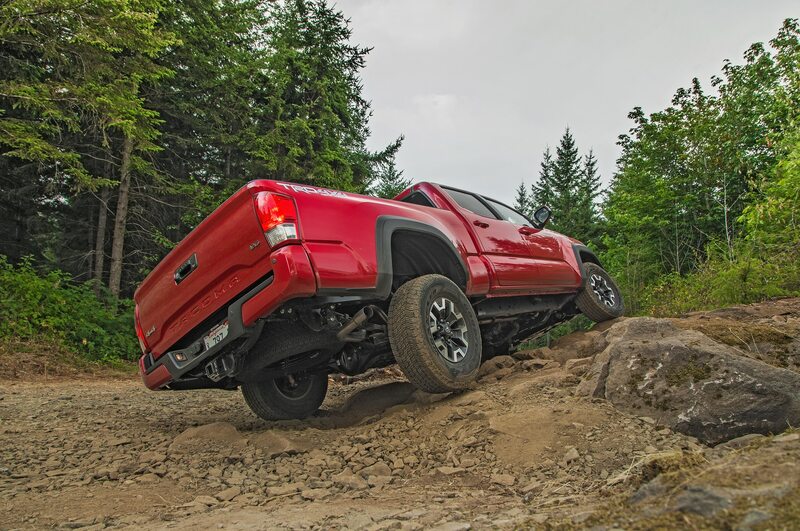 Because McFly’s truck was customized with all sorts of off-road equipment, the new Tacoma received an off-road suspension, a custom light bar with KC LED lights, tubular front and rear bumpers, and TRD wheels with BFGoodrich tires. 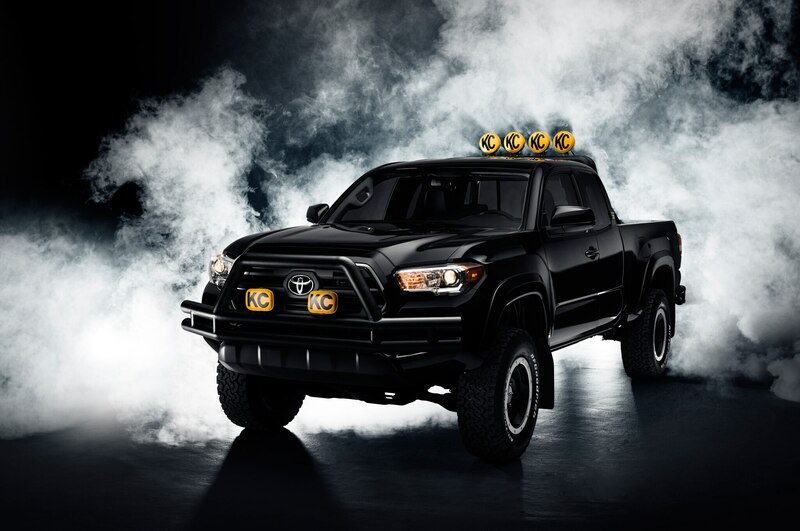 It’s a dead ringer for the movie truck, and will be displayed in Los Angeles, New York, and Dallas today only. 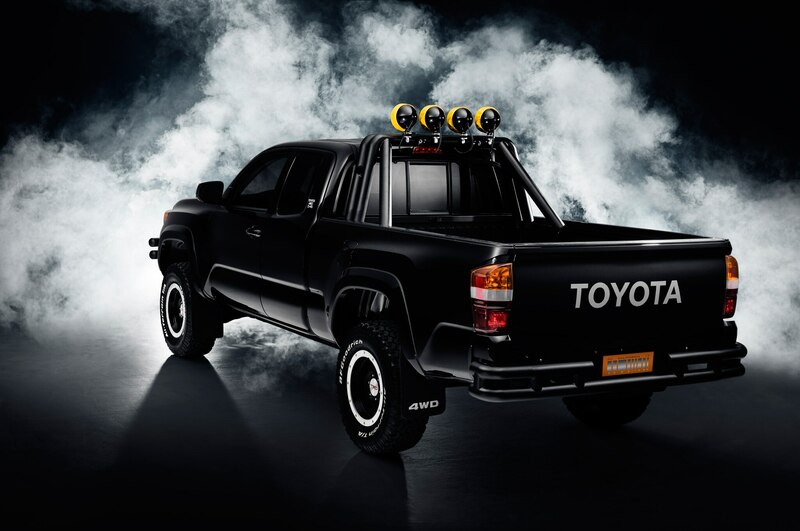 Don’t expect either of these “Back to the Future” Toyotas to ever hit showrooms, as this celebration is more of a marketing exercise than anything else. 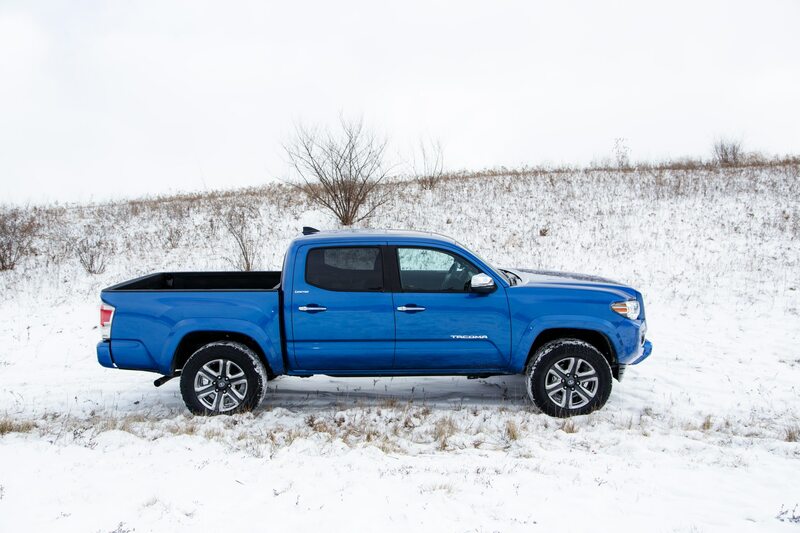 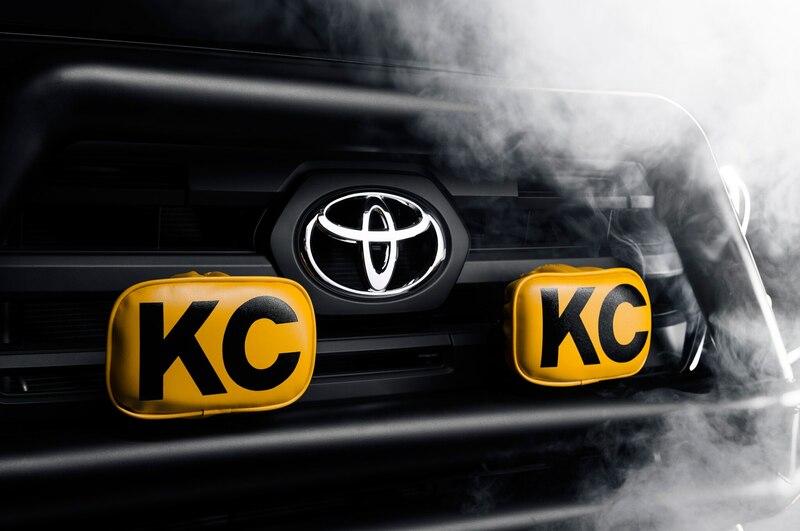 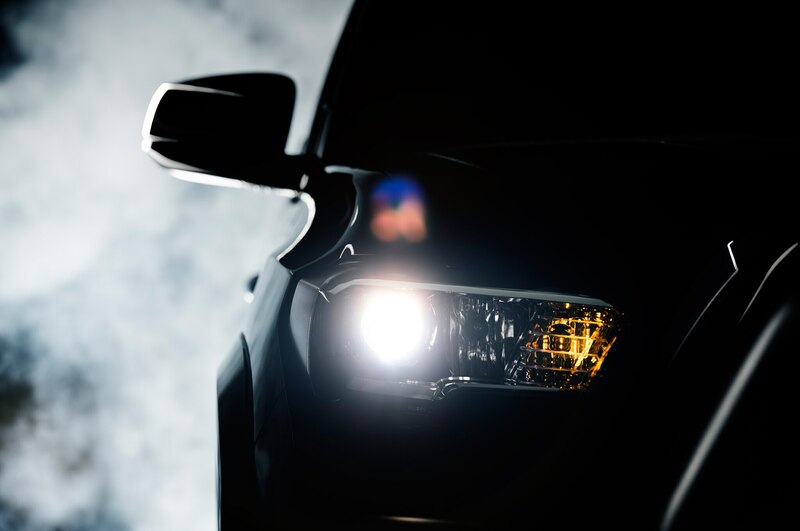 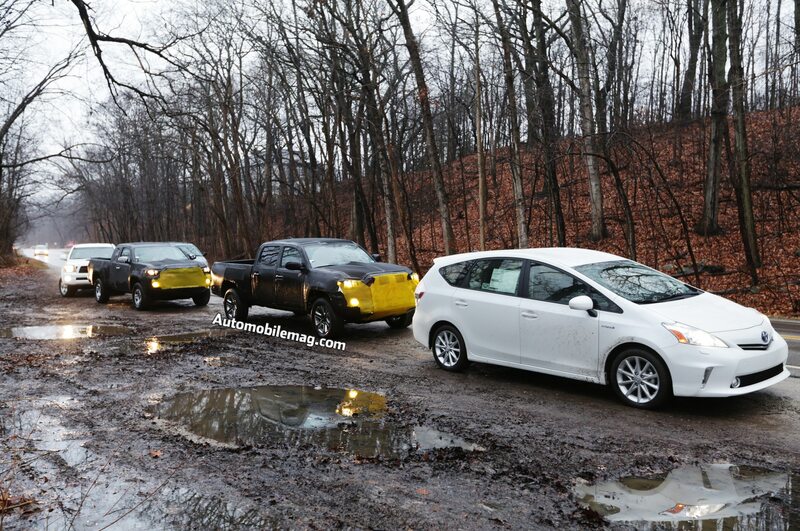 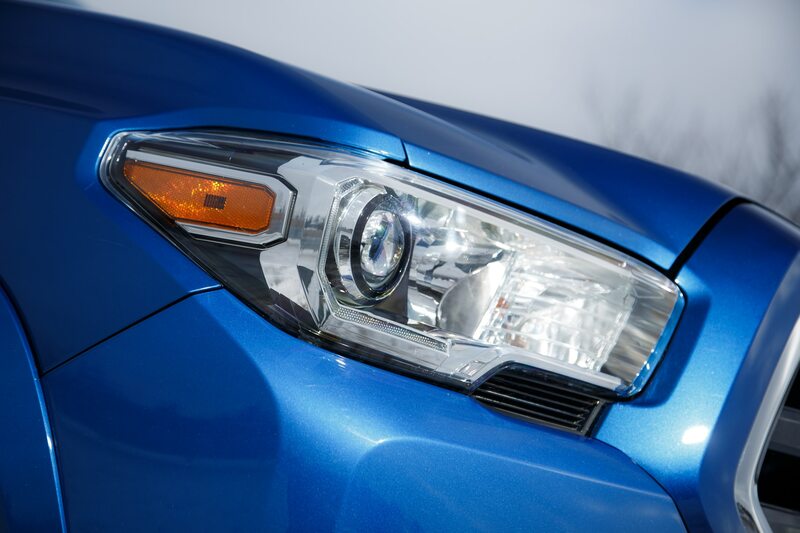 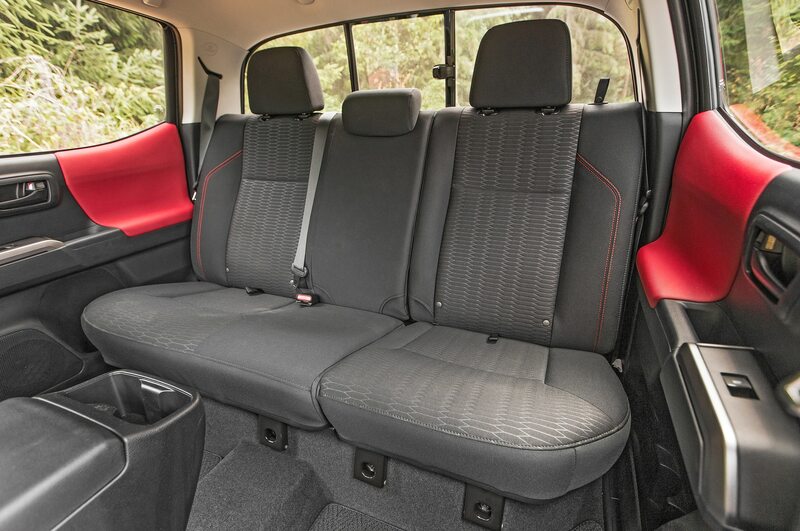 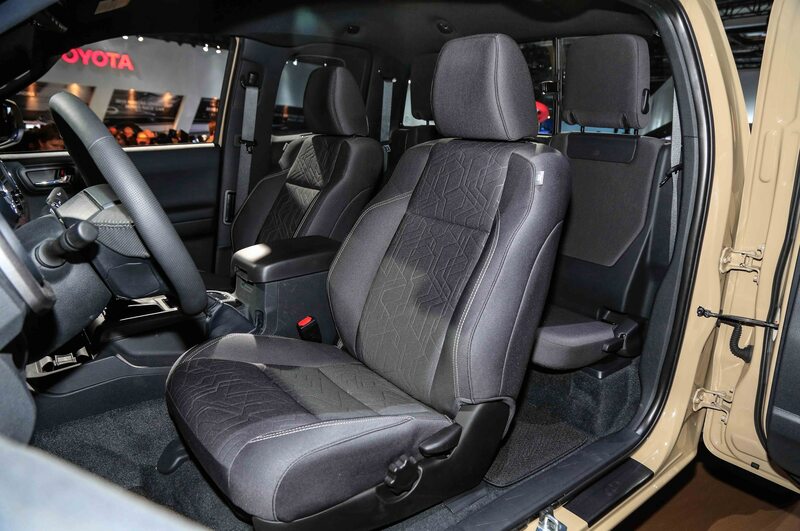 We still appreciate the chance to reminisce, though, so take a look at these specially outfitted Toyota models in the video and gallery below.